Wilmington and Weldon Rail Road. Wilmington & Weldon R. R. Company. Time Table No. 5, From and After Monday, October 31st., 1859. Wilmington & Weldon R. R. Company. Time Table No. 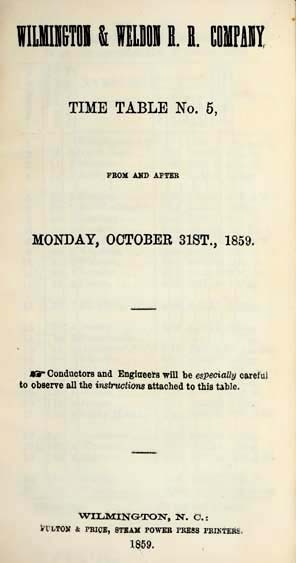 5, From and After Monday, October 31st., 1859.